For China, the world’s largest economy, going green may be as much about understanding the past as it is about embracing the future: the country’s cultural, social, and ethical values play an overlooked and largely underestimated role in China’s ability to shift toward sustainability. My introduction to China was giving a talk on “Green Values” at the 2010 China Green Companies Summit in Chengdu. Upon arrival to Shanghai International I was greeted by people bearing signs with my name, and whisked away in a limo with a gentleman wearing pinstripes and cuff links, who told me he deals in carbon credits. At the Hotel Shambhala, I was escorted into the main ballroom, where hundreds of people sat under the glare of TV lighting. We sneaked up to our front row seats, and I put on the earphone that provided real-time translation. I listened to Jet Li, who is known worldwide for his kung fu movies. Another speaker followed him, and suddenly I heard my name. It was my turn to share my vision of Green Values. What I came to understand is that for China, the world’s largest economy, going green may be as much about understanding the past as it is about embracing the future: the country’s cultural, social, and ethical values play an overlooked and largely underestimated role in China’s ability to shift toward sustainability. The core value of the traditional Chinese ethical system, established by the First Emperor, is Tai He, or “The Great Peace of All Under Heaven.” In this system, the pursuit of profit threatens order, so businesses must be controlled by the state. The result of this system, in a nutshell: order, but often accompanied by stagnation and cronyism. 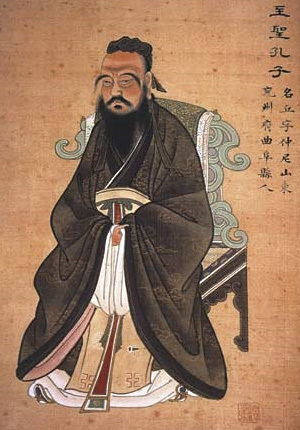 In contrast, the Confucian system of thought, which the West wrongly assumes is the foundation of modern Chinese values, says that private business doesn’t necessarily pose a threat to society because individuals can be motivated as much by responsibility for others’ well being as by their own personal gain. This model is more in line with many Westerners’ modern thinking about sustainability in the enterprise, but it’s not actually what drives most modern Chinese businesses. Whatever the West thinks of Chinese values, attendees at the China Green Companies Summit this spring told me that traditional Tai He values have been put through the wringer over the last century. First, Chairman Mao and his Communist Party overthrew the Imperial society (and religious beliefs) that had maintained a continuous civilization for the past 5,000 years. Shortly after, Deng Xiaoping abandoned many of the worst trappings of Communism, after Mao’s Cultural Revolution killed off millions of intellectuals and other innocent people. The Chinese people were left in a vacuum, with no uncontested values to which they could turn. Many Chinese now feel that green values may offer a way to get back in touch with some of the deep traditional values of the past, while also adapting to the concerns of today. The Chinese embrace of sustainability–like that in most other countries–is manifesting itself in ways that sometimes don’t seem to be driven by truly green values. In evaluating the companies that were up for Green Company awards, I found most of them really are doing exciting new things but, nevertheless, there is an ever-present concern with image–especially maintaining an image that will guarantee a good relationship with governments, at both the local and national levels. Even the location of the conference projected an image: it was held in Chengdu, which provides a screen on which to project the sensitivity of Chinese cities and state-owned enterprises, who sent substantial sums of money to aid with earthquake response after the horrifying Wenchuan earthquake of 2008 left over 4.8 million people homeless. In fact, when the conference organizers kindly took me, Jill Buck (founder of the Go Green Initiative), and Jonathan Lash (President of the World Resources Institute) on a local tour, the first stop was a photo opportunity for the local government, that included new homes for peasants displaced by the earthquake and a new elementary school. There’s a contradiction here: businesses seem keen to demonstrate goodwill, and keen to do be seen as cooperative with both internal and international governments that can influence those companies’ success. But at the same time, the state (and corporate) doctrine of growth at all costs is causing undeniable environmental harm, and pressing the whole world up against the threat of climate change. CSR is a popular topic among business people in China, but it seems to be viewed as a charity designed to enhance image, not a core part of business strategy. To the outside world, sustainability pressures in China are too often reduced to trade-barrier gamesmanship in China. Ironically, one of the big headlines in the national China Daily newspaper during my stay was “Climate Change Mechanism Set Up” between China and E.U. Turns out it is an agreement to hold regular talks and put in a “hotline” between the two countries, not a policy shift or legislative action with teeth. As Chinese green values collide with Chinese growth, sustainability still seems to be less than meets the eye. I’ve been told there have been many “green company” conferences springing up over the last year or two. The Chinese know how to get on a bandwagon when they see one–but only time will tell whether that bandwagon turns into a vehicle that will carry the country into a sustainable future.